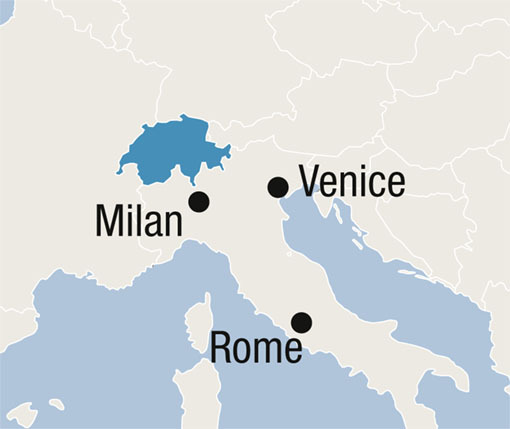 Enjoy a pre-/post Cruise Tour in Switzerland and Italy. Arrival in Rome. Transfer Airport–Hotel, 2 overnights. Transfer Hotel–Railway Station, train ride Rome–Venice. 2 overnights. Venice on your own. Transfer Hotel–Railway Station by Vaporetto. 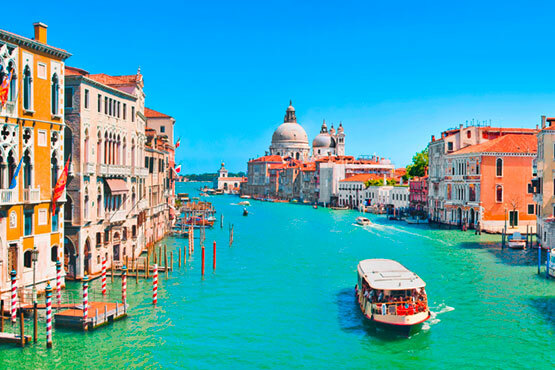 Train ride Venice–Milan. 1 overnight. Milan on your own. Train ride Milan–Zermatt. 2 overnights. Zermatt–Gornergrat, Europe’s highest cogwheel railway. Viewing platform to 29 peaks rising above 4000 m/ 13‘200 ft. Train ride Zermatt–Montreux. 1 overnight. Montreux on your own. Train ride Montreux–Basel. Where cruiseship can be boarded.